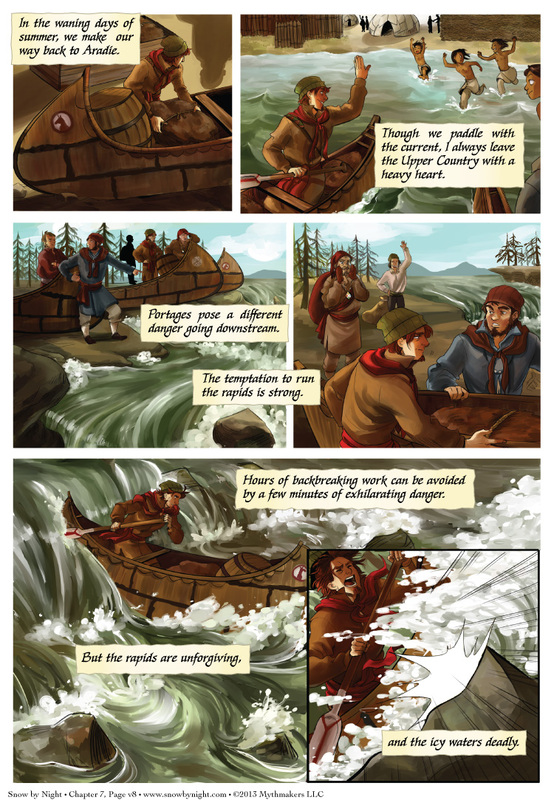 Peyre and the voyageurs head home in Page 8 of A Life So Free. The trip downstream from the Sweet Seas goes much faster than the trip up from Ville Marcelet. To see a preview of Page 9 and the fate of Peyre, please vote for Snow by Night on Top Web Comics. Don’t forget to check out What It Takes by Kez when you have a chance. If you’re a fan of post-apocalyptic adventure (and you probably are, with the Fallout-playing and the Walking Dead-watching), you’ll like this comic.